Laser peripheral iridotomy (LPI) is indicated to treat or prevent pupillary block glaucoma. A patent iridotomy allows aqueous humor from the posterior chamber to reach the anterior chamber, bypassing any potential pupillary block and preventing the iris from billowing forward and occluding the trabecular meshwork. 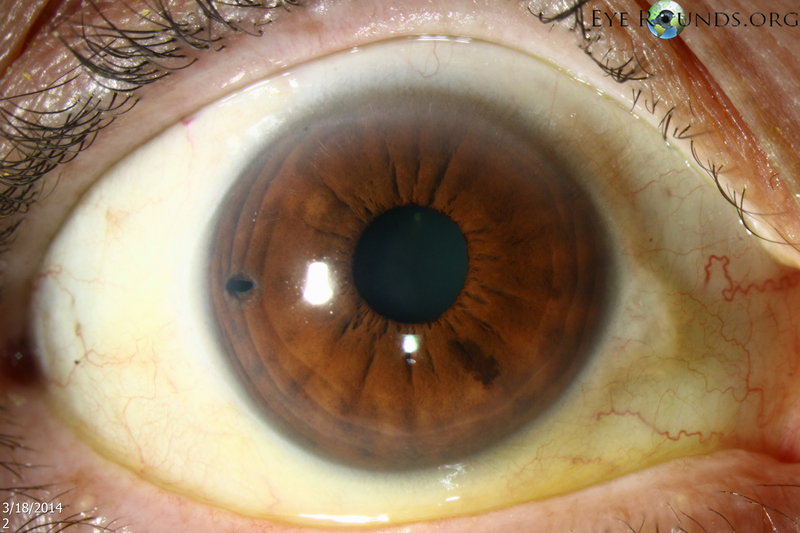 The iridotomy should be positioned as peripheral as possible to decrease the risk of posterior synechiae or cataract, but not so far peripheral that one is unable to confirm its patency. Patency is best confirmed by direct visualization as opposed to transillumination, because even non-patent iridotomies can transilluminate. LPIs have traditionally been placed superiorly, under the upper eyelid, to decrease the risk of post-operative dysphotopsias. However, in our experience, LPIs placed temporally are much less likely to result in these visual disturbances. This was confirmed in a prospective randomized clinical trial. 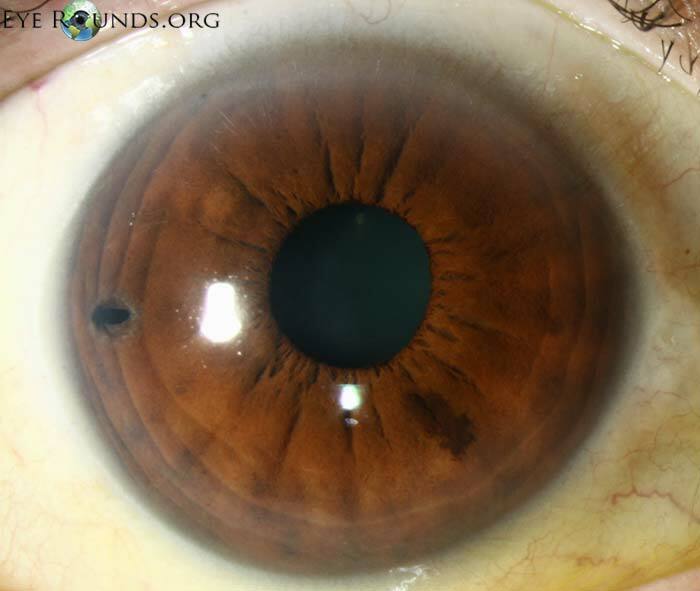 It is hypothesized that for superiorly placed LPIs, even those completely covered by the upper eyelid, light may be refracted through the iridotomy by the tear meniscus created at the margin of the upper eyelid.